We all know how it works, it gets dark earlier, there’s holiday food around, and the parties seem to be non stop. Pretty soon our pants are getting tighter and the scale is increasing every week! 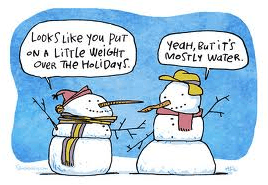 The average American gains between 8 – 10 pounds during the holiday season alone! 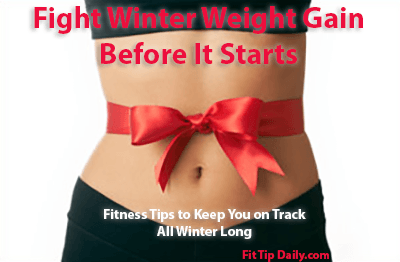 Use these fitness tips to fight winter weight gain, beat the bulge before it starts! While it’s always a good idea to prepare healthy options ahead of time, it’s even more important during the holiday months. Make an effort to go grocery shopping and set aside time to prep healthy meal options and ingredients. It’s easier to pass up that unhealthy food at the office or at an event if you’ve already prepared. Vitamin D is known as the “happy vitamin” because it give your body what the sun delivers via it’s rays. Since we can’t all be in Hawaii during the dark stormy months, taking vitamin D can help you stay more balanced, energetic, and less depressed. Remember that vitamins are taken in the morning (minerals at night). So consume it with your breakfast if you can! Magnesium is the wonder mineral that helps control cortisol (the stress hormone). Increased cortisol has been known to increase belly fat. To keep the bulge away during the winter months, take this mineral 1-2 hours before bed. You’ll sleep deeper, feel more rested in the morning, and calmer throughout your day. Magnesium is also excellent for your joints! If you suffer from winter stiffness, this should sooth your achey joints and keep you active during the cold months ahead. We know we can’t resist all those holiday treats, but eating before a big party is the best way to keep from overeating all those unhealthy options. Make sure you eat before your large gatherings and parties, then have a small amount of some of those forbidden foods. If you think you’re going to use it then nows the time to get it! Much like the car season, the gym membership season follows the sun. The more sun there is the more they are selling! So take advantage of the winter months and cash in on lower rates! Whether you are actually using a gym or not, having a buddy to help you stay accountable could be worth it’s weight in gold (on the scale) . Find someone with similar goals to yourself, someone who will push you to stay on track. Even if that someone is a personal trainer. It’s better to stay on track then to back track for the next 4 months. It’s not a secret, writing to logging your workouts if one of the best ways to stay on track! Make sure you are measuring yourself every 3 -4 weeks and tracking your goals, your progress, and your food intake. It could mean the difference between getting results or having to buy the next size up for that Christmas shin dig. These fitness tips for fighting winter weight gain are the corner stone of all weight loss programs. 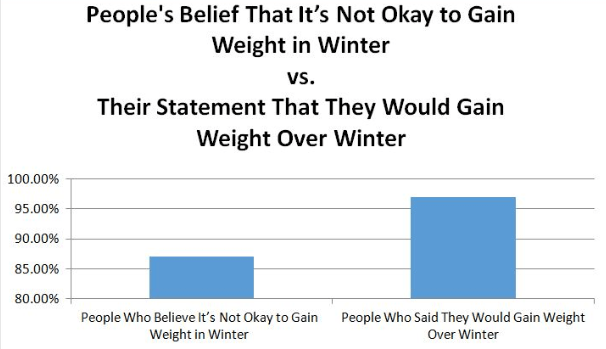 Doing them in the winter instead of going into hibernation mode means that when spring hits, instead of losing winter weight, then your original weight, you are already ahead of the game! Print them out and post them is frequently seen places. Try to follow at least 1 – 2 a day (if not all of them). Prepare for success, not failure and you will always come out leaner!